ITANAGAR, Jan 30: The All Arunachal Pradesh Students’ Union (AAPSU) has drawn the attention of Rajya Sabha member Mukut Mithi towards the Citizenship (Amendment), Bill, 2016 and urged him to strongly oppose the bill, when it is tabled in the upper house of the parliament, ensuring its rejection. The AAPSU, under the aegis of the North East Students’ Organization (NESO), along with other constituent organizations, has been protesting against the CAB. 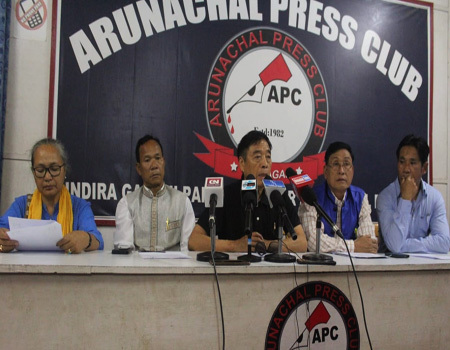 Describing the Bill as unconstitutional, anti-tribal and anti-North East, the AAPSU said the state of Arunachal Pradesh is already plagued by the Chakma-Hajong refugee imbroglio for the past 50 years. The AAPSU said that “there is every possibility of taking the advantage of the bill by the refugees,” who are already settled in the state. 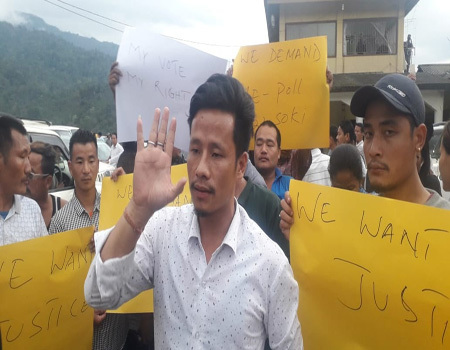 The apex students’ body of the state also urged the MP to pursue the concerns of the people of Arunachal Pradesh with other political parties and the Government of India.